It’s undisputable that cloud solutions are on the rise, with Forbes predicting that within the next year 80% of all IT budgets will be committed to cloud solutions. The cloud continues to gain momentum as perception positively increases, and there are many advantages influencing the rise in businesses making the shift towards it. Hosting your own data is expensive, there’s no way around it. Investing in your own standalone servers with security and staff to maintain it can account for a huge percentage of your budget. However, there are cost-saving advantages when you outsource your infrastructure to the cloud. 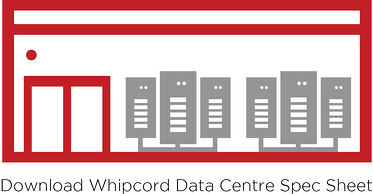 At Whipcord, we offer a dedicated private cloud as well as a multi-tenant private cloud, both of which are scalable. Companies typically scale up their storage space as they grow, however, you don’t have to pay for that extra space in anticipation of it. Simply put, with a pay-as-you-go model, you only pay for what you use. Another advantage is that when you move your data to the cloud you benefit from the perks a data centre offers, like server maintenance. Not only is it cost-efficient, but there are other perks in doing so. One is that you don’t have to worry about server upgrades, which improves security if your systems are up to date. That, in turn, frees up your staff to work on more important projects that support your core business needs. Last week we asked if you were utilizing the cloud to your full potential, and talked about the cloud having a physical location. Our flagship Tier 3 designed data centre is located in a low risk location, from both natural and man-made disasters. In addition to the physical security the cloud offers, companies that host data centres are bound to legal compliances through government audits. Something to look for, to confirm the highest level of security, is whether a data centre has a SOC certification. Whipcord is SOC 2® certified, which is a report that certifies our security, availability and privacy. Monitoring: Utilizing our software solutions we’re able to monitor events like host failure, diskspace issues, computer resources and network issues. Virtualization: Operating an industry-standard enterprise virtualization platform that’s fault tolerant and dynamically scalable. Not listed in order of importance, the third advantage to the cloud is leveraging it as your disaster recovery (DRaaS) solution. Many companies, such as a law firm, are bound by legal requirements to protect and store data for a set number of years. Disaster can, and unfortunately does happen, when you least expect it. For example, your building is the casualty of an arson and you lose your equipment and physical files. To recover and continue operations as quickly as possible you would need to have your data available offsite. A service like Veeam Cloud Connect Replication, through Whipcord, provides business continuity and is an affordable, fast, secure, cloud-based disaster recovery solution. Although we’ve only talked about the top three advantages of the cloud, those aren’t the only ones. As technology rapidly evolves, naturally, so does the cloud. It will only become bigger, better and more integral to business operations through its cost efficiency, high-level security and disaster recovery solutions.